Nowadays it’s important to think about your water use. You can’t just drink tap water, or buy as many water bottles as you want. We have to be responsible and conscious in regards to the water we consume and how we consume it. Urban Oasis, our top quality drinking water store, is intent on easing that process for everyone. Each of our three locations, Silverlake, Gardena, and Koreatown, will be able to help you through this process. More than anything, we at Urban Oasis want to provide you with a clean, trustworthy facility for all your water needs. Our drinking water store was born out of this mission, and it guides us through our daily operations. We can actually sum up our intentions in a few key points. Our main concern here at Urban Oasis is to provide pure clean water for our customers. This is why we focus on consistent, thorough regulation of our water delivery systems. We want to ensure the best possible water quality. Therefore, we run weekly checks on all our water filtration systems (even when state law only calls for monthly checks). Once the dispensers are clean, we test the water itself to make sure it’s optimal for your consumption. 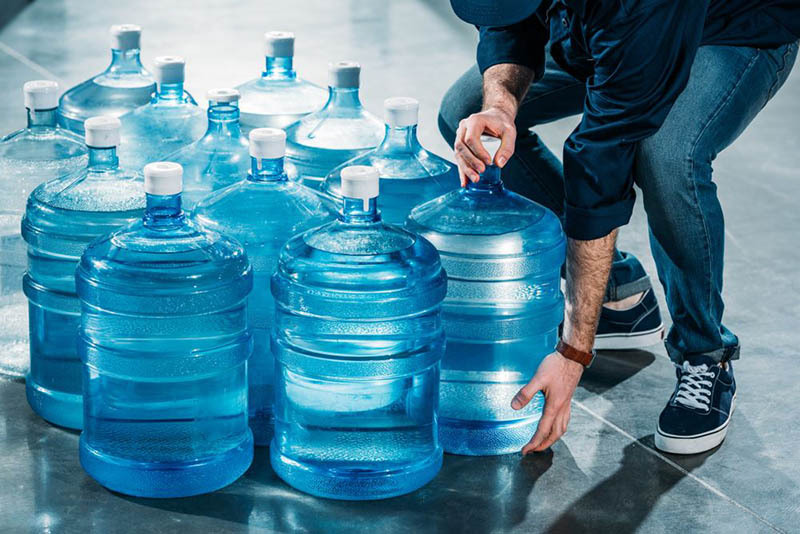 Both our water options, alkaline and purified, are of the utmost drinking quality, and available in our stores and our 24 hour water vending machines. You can always trust us to deliver safe to drink product. We make an effort to be active members of our community. Each one of our three locations (in Koreatown, Silverlake, and Gardena) contributes to the wellbeing and education of their surrounding communities. We provide information on water treatment and purification, as well as environmental issues surrounding water and waste. Additionally, we are completely transparent and open with our operations Urban Oasis takes pride in educating customers about our practices and procedures. This way, we actively earn our consumers’ trust via thorough, reliable information. We want your experience with us to be as convenient and comfortable for you as possible. So, when visiting our drinking water store, you will always be able to count on friendly, helpful customer service from our employees. You won’t find service as good as this in other water stores. We take our role as water providers very seriously when it comes to our environmental impact. In all of our practices, we implement the three R’s of conservation. We reduce, reuse, and recycle by encouraging the reutilization of ethically made plastic and glass water containers. Therefore, we promote controlled water consumption and the use of larger water bottles, instead of wasteful individual ones. You don’t have to believe us right now. If you want to see for yourself, please go ahead and visit us! Our stores are geared to provide with anything you might need in regards to clean drinking water. 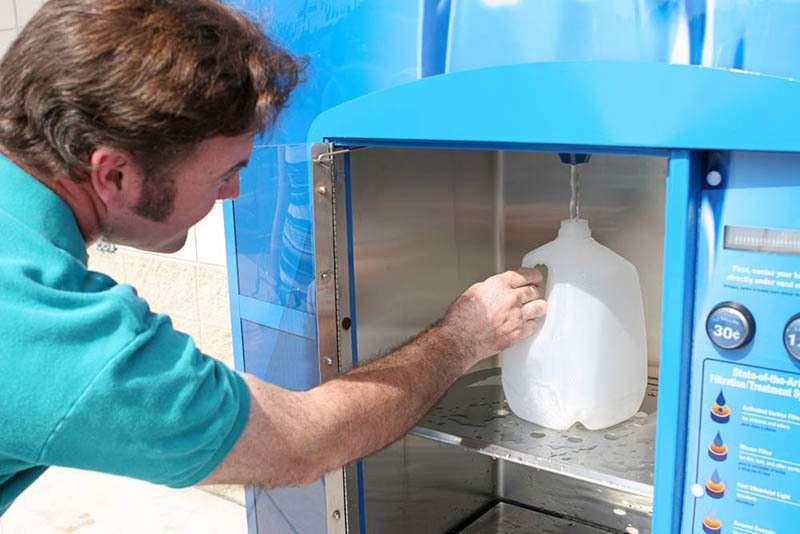 Not to mention our 24 hour water vending machines can help you outside regular business hours. Whatever it is you need and whenever you need it, Urban Oasis is here to help.